With the consistent progression of society, cities have become much more populated than it was before. And that has led to higher demands among people and an increase in the competition among peers. Given how everyone functions on the same level of rush, city life has become pretty difficult. That’s why even though we have fast cars and bikes, and work in air-conditioned rooms, we seem to be always out of time. Travelling to & returning from our job is a task because of the increasing traffic jams. Every mall and grocery store is stacked, but the queues in front of the cash counters are a headache. A visit to the ATM still feels like a social gathering because, queues. Once you complete all or any of these tasks, you’re left with the feeling that it would have been swell if you had an extra 30 seconds in your life. Why 30 seconds? Well, there can be many reasons but since you asked, that’s exactly how long it took for Rannvijay Singha to change his life. 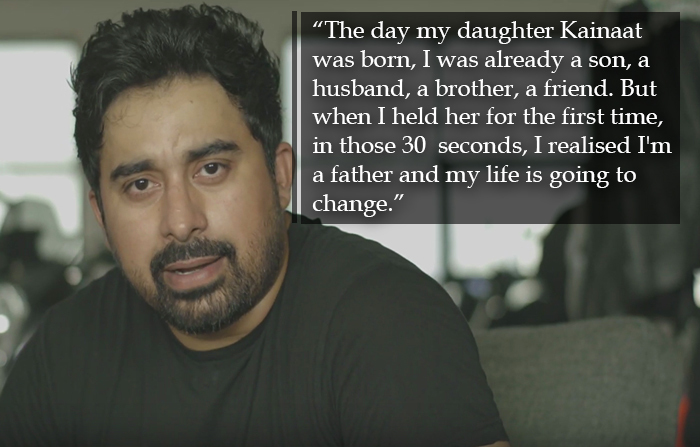 Rannvijay explains how it took him only 30 seconds to come to the realisation that his life is going to change forever when his daughter was born. 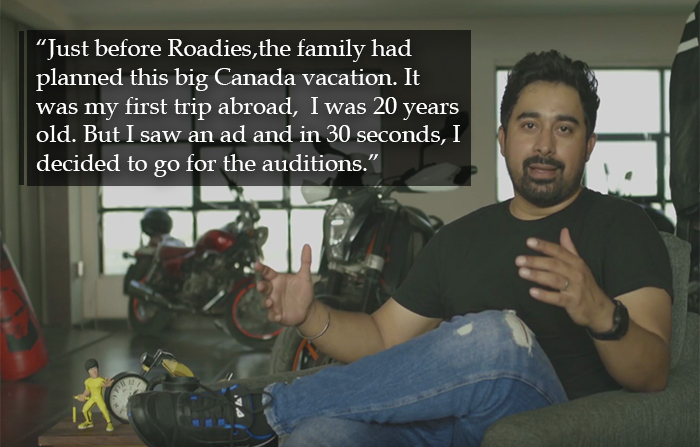 We all know biker Rannvijay from Roadies? But do you know his life would’ve been completely different if he didn’t have those extra 30 seconds to think about his priorities? *The test simulates a 30-second wide open throttle acceleration from a rolling start, in a single gear, conducted by Castrol using Honda CBR300 engine. At the end, the distance travelled is reported. Seize the moment. Seize the day. Carpe Diem.